I had a lovely time at WFC and B’con and saw lots of old friends, met some new folks, inflicted myself on a great many people, went to amazing places, eavesdropped on great conversations, chatted up writers, editors, archivists, and museum docents, and slept less than I should have, but more than I wanted. Now I shall make up for all that lost sleep–I shall be having surgery on Wednesday and thus, be absent again for a little while. Be good while I’m gone! After WFC, Stina Leicht and I went to look at the Smithsonian and other things around the National Mall in Washington DC. 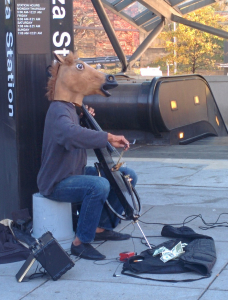 First we were greeted by a horse playing The Beatles “Eleanor Rigby” (quite well) on electric cello at L’Enfant Metro station. 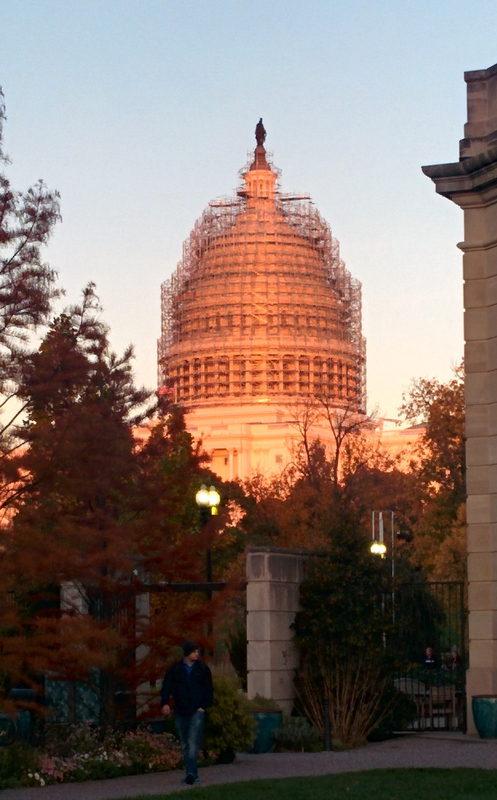 On the way back to the hotel, we saw the capitol dome–undergoing renovation and looking rather like a Lego construction under its scaffolding–just as the sun started to set. 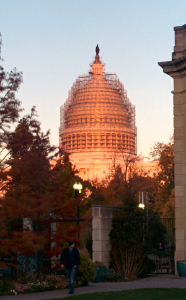 I’m in Washington DC for World Fantasy Convention and yet… here I am, blithering away about Greywalker and Harper Blaine and things Kat while at DragonCon this year. I’ll be reading aloud at World Fantasy Convention in Washington DC on Thursday November 6 and I’ll be on a panel at Bouchercon in Long Beach CA on November 14. See the Tour page for details.